Charitable Words is partnering with Read Better Be Better, an Arizona-based nonprofit that helps students improve their literacy skills by pairing them with older peers. The program supports basic classroom instruction with additional comprehension strategies to improve proficiency. A Charitable Words stipend will support the work of site leader Ashleigh LaMountain and connect her with volunteer professional advisors to support her beyond-the-call work writing grants to advance RBBB’s impact. 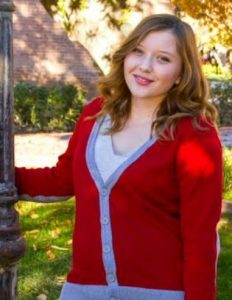 Ashleigh is a current student at Arizona State University concurrently obtaining a Bachelor’s degree in Educational Studies and a Master’s in Educational Policy. Ashleigh loves working with members of her community in order to ensure improvements are continuously made for the betterment of society. She also enjoys reading, traveling, and listening to a variety of music. Ashleigh is looking forward to becoming an educator in the future, and to improve the lives of all students across the country. Arizona students have been and continue to struggle academically for a number of reasons. One reason this issue exists is that we find many students do not have (what most would call a ‘simple’ skill) – literacy. Many students in our great state have a weaker literacy foundation when compared to others around the country, making them unable to scaffold upon their skills due to the lack of support they receive in and out of school. Read Better Be Better was created to address this crisis and help those in the community who want to become better. ​RBBB has proven to change the lives of those involved, and Teacher Evaluations show 100% RBBB students improved concentration, enjoyment of reading and reading comprehension after one semester. By supporting the efforts of RBBB we will be able to create a better world for all, as individuals will be more likely to share their thoughts and ideas in collaborative and effective ways. RBBB empowers children to become the best that they can be and to consistently challenge themselves in an inclusive environment, despite any obstacles they face in or out of school. Thank you Ashleigh, for all you do to improve reading skills of children in your community! Charitable Words was founded in 2012 in Ohio and currently expanding its engagement to Arizona, where founders Tom and Maureen Callinan have relocated. Its mission is to help nonprofits “improve their impact and better tell their stories”, as well as provide financial support to a “purposeful” generation facing a bubble of college debt. Since 2012, more that 70 students and recent graduates have been engaged with more than 30 nonprofits, primarily in the areas of working with the elderly, veterans, the disabled and literacy. Please check out other blog posts reports on “learning and lending a hand” projects.